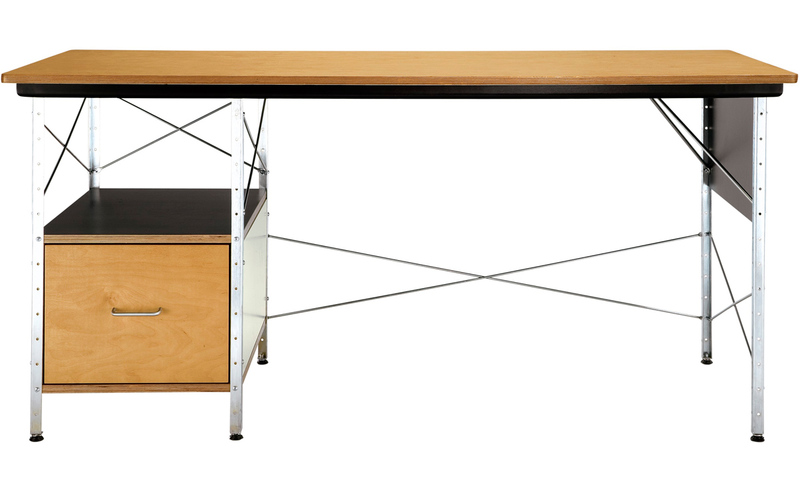 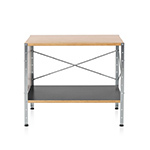 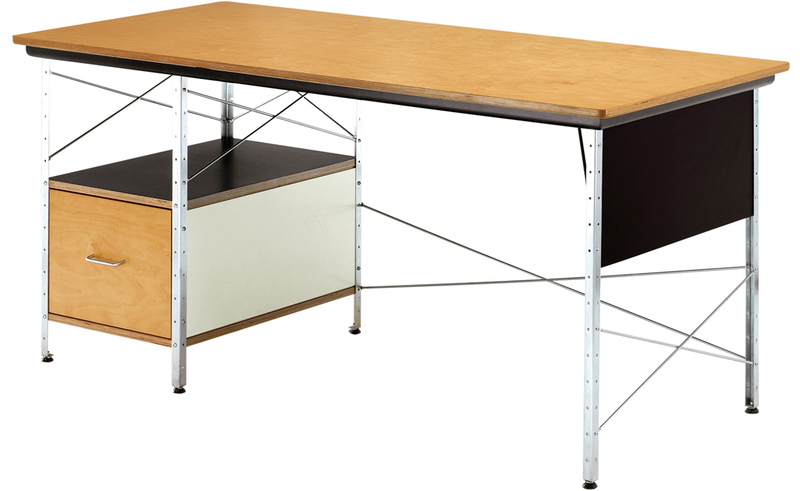 The zinc-coated wire cross supports used in Eames Desk Units echo other classic Eames designs, including Eames Storage Units, wire chairs, and wire-base tables. 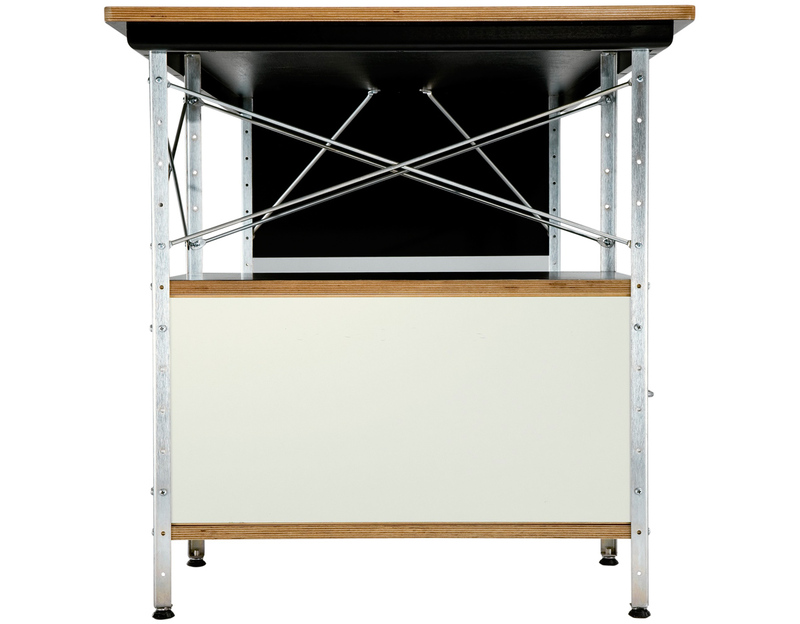 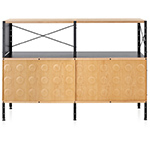 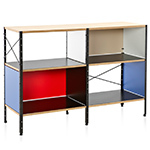 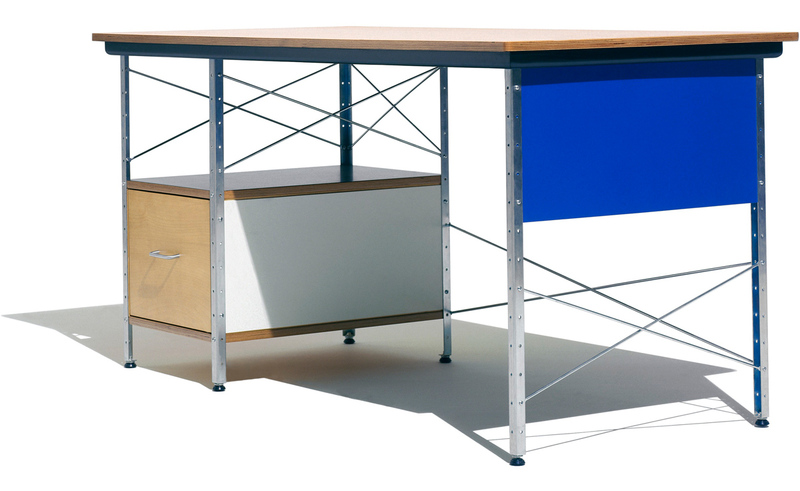 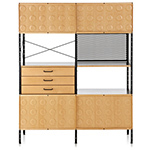 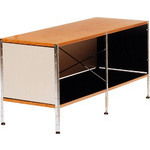 The EDU features a birch finish on tops and file fronts with either zinc or black frame. 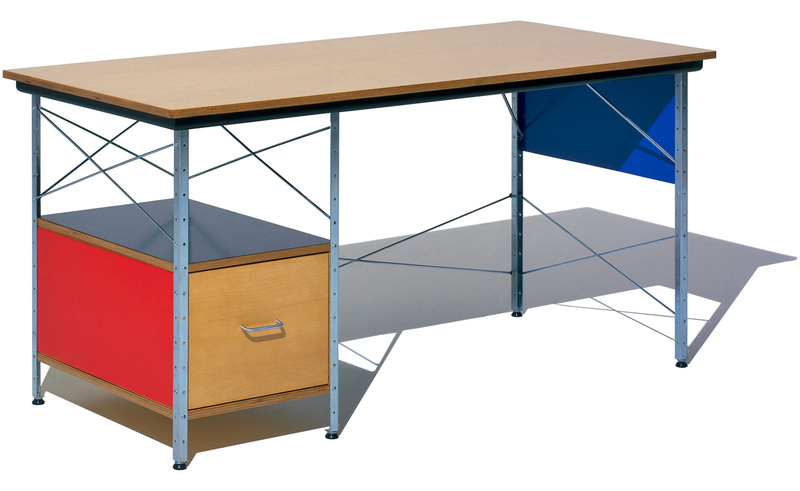 Painted hardwood board on case sides and back panels, available in your choice of neutral or primary colors. 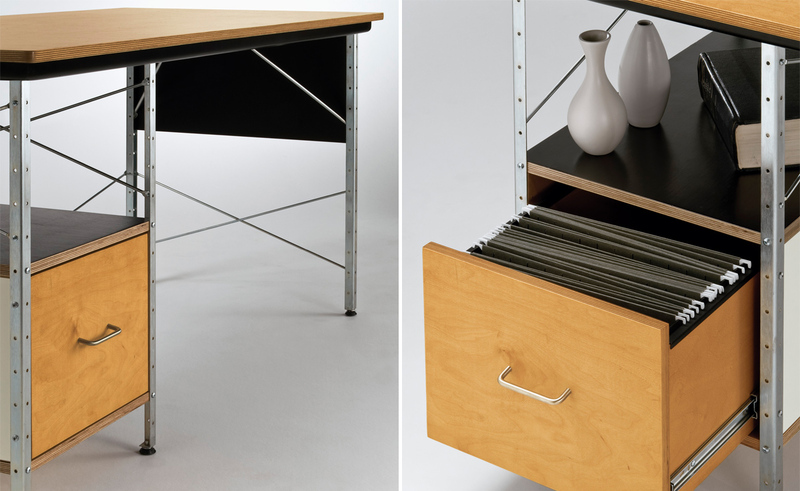 The file drawer can be on the right or left side. 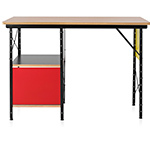 $2,080.00 + free threshold delivery in the continental U.S.